Fuzzy has coloring pages fathers love to receive, Dads and Granddads too! This one celebrates giving a tie to Dad! This PDF prints to 8.5x11 inch paper. 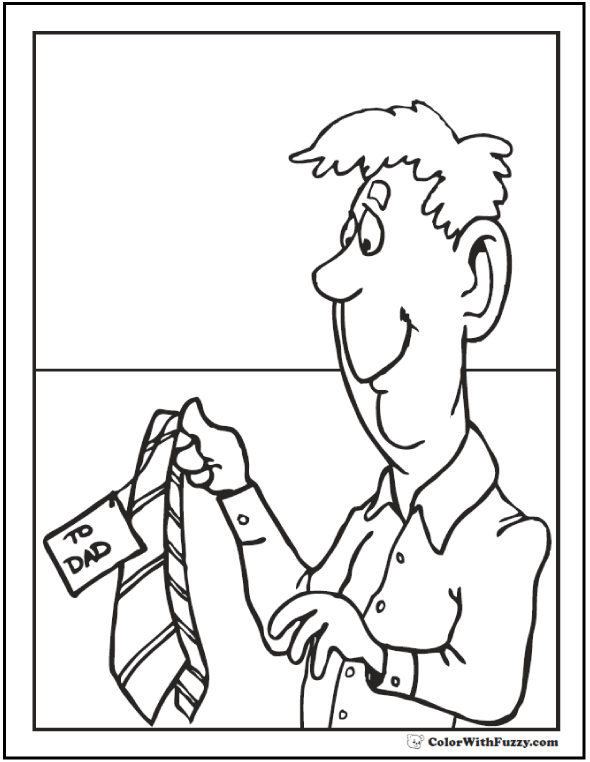 Fathers love coloring pages and this one is about Dad getting a tie.